A Gandy Bar, is definitely not a candy bar – but is a whole lot of fun. 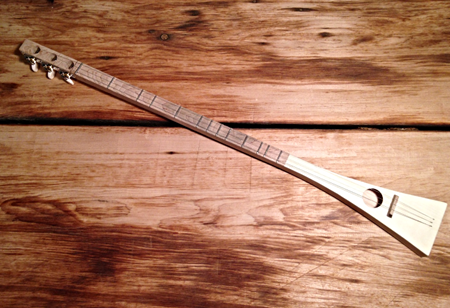 A Gandy bar is a three stringed instrument that is a cross between a dulcimer and a guitar. Each gandy bar is made by hand by Gad and Andy right here in Pittsburgh. You can purchase a complete Gandy Bar or a kit to make your own Gandy Bar at home. Visit www.GandyBar.com to purchase or stop my the IMadeIt Market today (Saturday, May 24, 2014 – apologies to our email readers who might not see this post till the workweek) at South Side works to say hello to Andy and try one out. 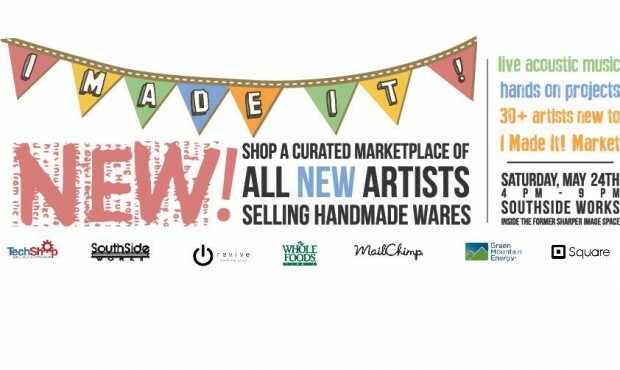 Details for the IMadeIt Market on Saturday, May 24.